Apple is still planning to release the iPhone X in a so-called Blush Gold color, according to well-known leaker Ben Geskin. Geskin tweeted a photo of an iPhone X and an accompanying SIM card tray in the new color earlier today. He said the device is "in production," with a codename of D21A. In a follow-up tweet, he added that the "color is real" and said Apple just "saved it for later," but hedged that "stuff can be canceled." Geskin has gained a reputation for leaking dummy models, screen protectors, and accessories related to unreleased iPhones, but he doesn't have a perfect track record. Back in July, he said the iPhone X would be available in four colors, including a "mirror-like" finish that has yet to materialize. In the months leading up to the iPhone X, it was widely rumored that the device would be available in a trio of colors, including Blush Gold, but Silver and Space Gray ended up being and remain the only colors available. In September, KGI Securities analyst Ming-Chi Kuo said the gold model may encounter some production issues and be available in extremely low volume during pre-orders, which didn't happen, or go on sale at a later date entirely. Since then, rumors have largely gone quiet, beyond a few false release dates. 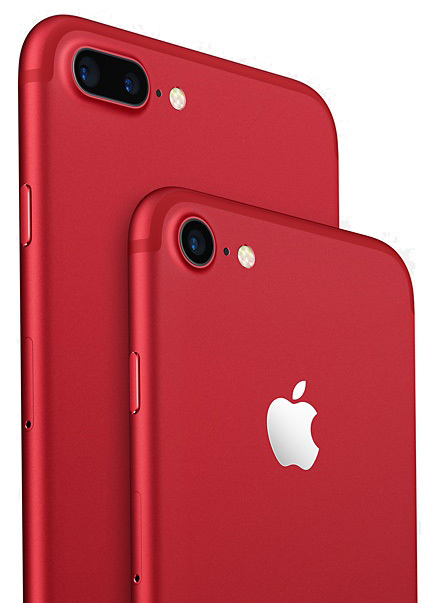 A year ago this week, Apple unveiled a special (PRODUCT)RED edition of the iPhone 7 and iPhone 7 Plus, so there is some precedence for a new color to be added midway during the product cycle. The white iPhone 4 was also delayed until April 2011, over nine months after the black version launched, due to a lack of UV protection. Apple may release a (PRODUCT)RED edition of the iPhone 8, iPhone 8 Plus, and iPhone X as well, according to Rosenblatt Securities analyst Jun Zhang, and that might be the more likely addition than Blush Gold. Apple recently announced it will be hosting an education-themed event on Tuesday, March 27 at Lane Tech College Prep High School in Chicago. While the event will be focused on "creative new ideas for teachers and students," it's certainly possible we could learn of the new iPhone X colors then. ...or throw in a girlfriend to go with the nail polish? Sounds like something Apple would start doing to get extra sales mid-cycle. Apple regularly adds new colors mid-cycle. This isn't all that surprising if it happens. I'd like the red version, but for iPhone 8 and 8+ I'd prefer a black bezel on the front. Careful. I'm told that color combo comes pre-loaded with U2 albums. I'm still waiting for the Special Notchless Edition. The notch isn't an issue. I don't understand why Apple is so afraid of the color blue. I want. Regarding the red iPhone. If Apple was serious about raising money for this charity why don't they offer that color right from the start when sales would be most popular? Offering it only as a mid-cycle option feels like Apple is using the charity for their own benefit to jump-start sales during a normally sagging time. Hey, for $1000 they should be able to customize it to match my girlfriend's fingernail polish. Anything to boost sagging sales I guess. You mean the 84M phones they sold with a 14 week run rate or the 13% increase in y/y revenue? Which part was sagging? Get your news from Apple, not fake news like Nikkei Asian Review and JP Morgan.